In The Eyes Of The Beholder: It's Been A Long Day! It's been a long day! After my 8-hour shift last night, I decided to watch Les Miserables. Geez! I fell in love with Russell Crowe and Hugh Jackman all over again! They were both amazing. Ah! Anne Hathaway and Amanda Seyfried were awesome! The movie moved me, somehow. I'll make a separate post about it soon. I actually just got home from the meeting and about to hit the sack. 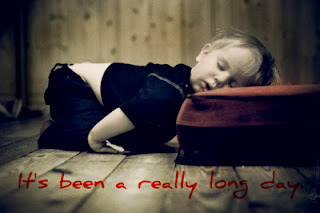 Today is indeed a long day! Hi Nicole! Thanks for taking the time to read my tiring post. LOL! Take care!